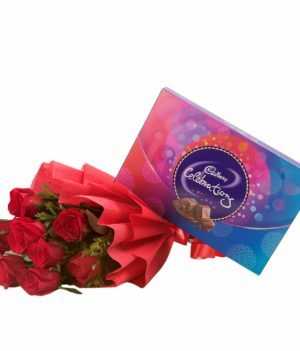 Bunch of 12 pink roses in a pink paper packing tied with a pink ribbon with 200gm Ferrero rocher chocolate box. 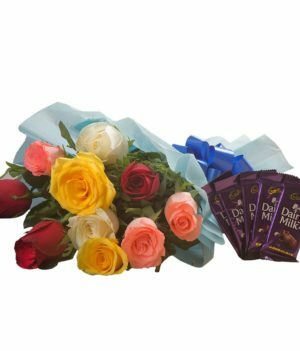 Flowers and chocolates are just the apt gift for any occasion. 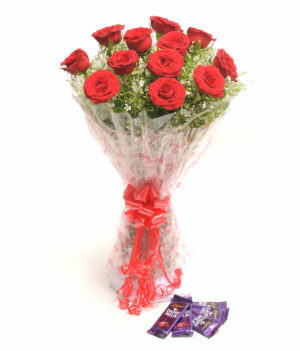 Wishbygift.com has come up with this enticing combo of Ferrero Rocher chocolates and pink roses. 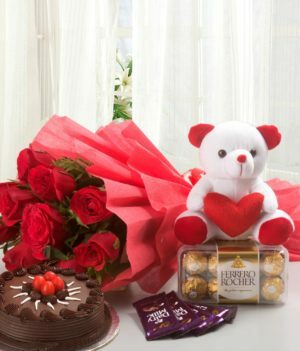 Present this combo to your loved ones and make them fall in love with you once again. 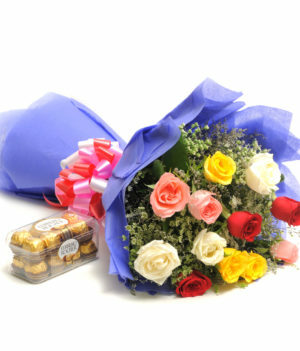 Pink roses are the symbol of admiration and appreciation. Appreciate someone close to you mixed with some sweetness with this attractive combo.